Initially, we talked about whether or not to rent a car while in San Francisco. We decided to forego that expense, plus the cost of overnight parking at the hotel, and we were not disappointed with that decision. What we did decide to do was take "tours" to all the places that we wanted to see, since there is so much to see and do in San Francisco. This was our first full day in San Francisco and the first tour on the agenda was the "City Tour." It was a 5-hour tour that included several stops along the way - Chinatown, Palace of Fine Arts, Nob Hill, Grace Cathedral, Lombard Street, Golden Gate Park, Japanese Tea Garden, Alamo Square Park ("7 Sisters"), a Victorian Home Tour, and Sausalito. What was great about this tour is that there was a shuttle driver AND a tour guide, who actually got off the shuttle with the group and gave a guided walking tour at each stop. This was a great way to see so many of the sites that San Francisco has to offer - without the hassle of trying to maneuver the busy streets of San Francisco without getting lost and then trying to find a place to park. San Francisco's Chinatown is the largest Chinatown outside of Asia as well as the oldest Chinatown in North America. In 1848, the first Chinese immigrants - two men and one women - arrived in San Francisco on the American brig, Eagle. 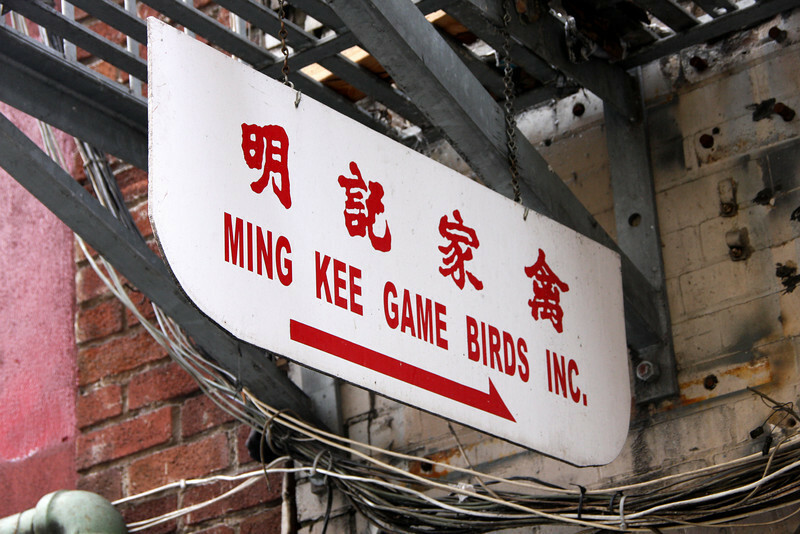 Here you can find an abridged version of the history of San Francisco's Chinatown.